America's premier comic playwright makes another hilarious foray into the world of modern relationships. Jake, a novelist who is more successful with fiction than with real life, faces a marital crisis by daydreaming about the women in his life. The wildly comic and sometimes moving flashbacks played in his mind are interrupted by visitations from actual females. 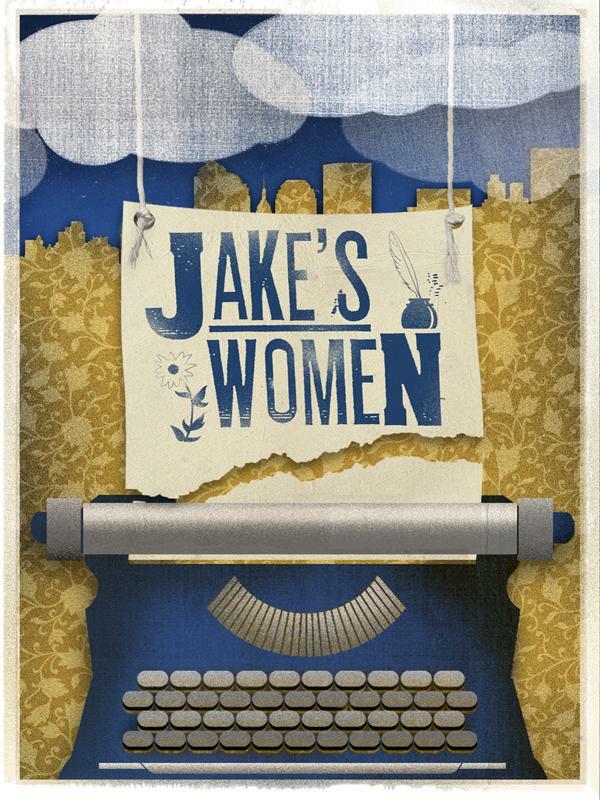 Jake's women include a revered first wife who was killed years earlier in an accident, his daughter who is recalled as a child but is now a young woman, his boisterous and bossy sister, an opinionated analyst, his current wife who is leaving Jake for another man, and a prospective third wife. We regret children under five years of age cannot be admitted to any performance. Season Ticket Holder Reservations begin Mar. 16. General Ticket Sales begin Mar. 23.